This week, we begin setting up for our biggest, best, and longest show of the year, the annual League of New Hampshire Craftsmen's Fair held each August at Mount Sunapee in Newbury, NH. The show runs August 2nd-10th. We'll be there every day with our favorite wood-fired pieces. Here's a little sneak peak the pottery we'll have with us . . .
For the 80th year, the League of New Hampshire Craftsmen will host it's annual Fair, held this year from August 3rd-11th. We're excited to be exhibiting once again - this is Becca's ninth year and our fifth showing as a couple! Join us at the base of Mount Sunapee, in the beautiful Dartmouth/Sunapee region of New Hampshire for this unparallelled nine day event. The show is open from 10-5 daily, open until 7pm on Friday the 9th. Our booth is in the same location as the past few years - in the front of Tent 6, booth 628. There will be handmade crafts from over 350 juried artisans, as well as workshops, demonstrations, performances, and tours. Speaking of tours, Nathan will be giving a "Master Tour" of ceramics at the Fair on Monday at 3pm. Find him at Tent K; should be fun! You can find more information about the Fair, as well as purchase tickets in advance, by visiting the League's website. 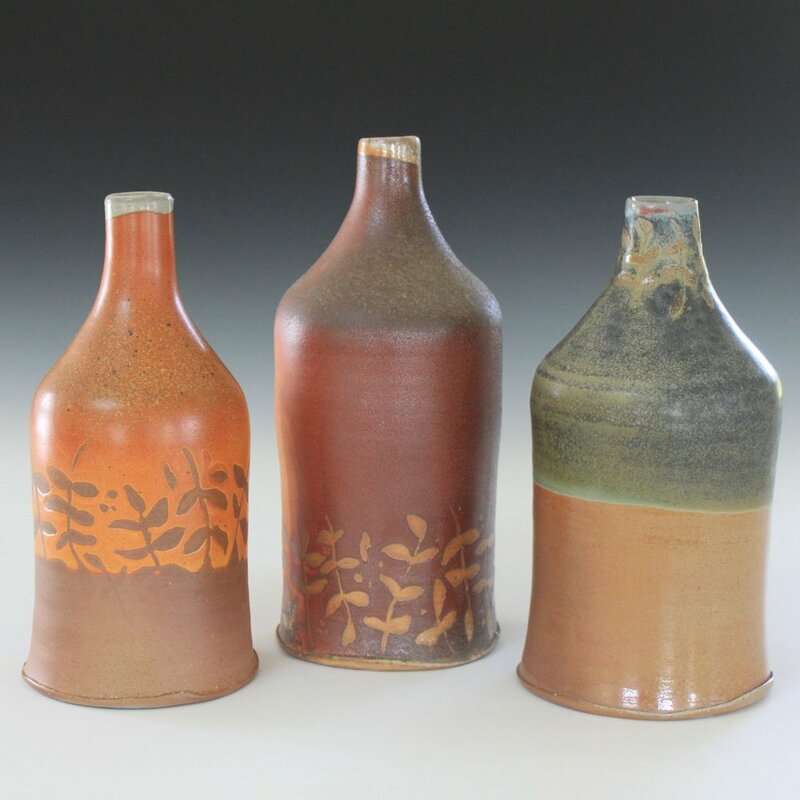 Every year, we look forward to spending the first eleven days of August at the base of a beautiful mountain in central New Hampshire, showing our pottery amongst hundreds of juried craftspeople and thousands of fair goers. It's the League of New Hampshire Craftsmen's Annual Fair, and with this year being its 78th season, it's also the oldest craft fair in the country. 2011 was really wonderful year, and we even took home a "blue ribbon" for our garlic scape adorned booth set-up! My first memories of the show are from the vantage point of a backpack- I was perhaps two and carried by my dad- and I still remember the soft shapes of the wooden toys. The Fair remains a beautiful and inspiring experience (although I must admit that after nine consecutive days of showing, I am really to be finished!). One of my favorite aspects is the camaraderie between craftspeople; I'm amazed how many wonderful friends I've made over the past seven years. I spend the next 354 days enjoying the beautiful pieces my friends have made, and looking forward to seeing what we all make over the coming year. Below are photos of weaving by Tom Jipson, botanicals by Maggie Lake, a barn jar by David Orser, earrings by young craftsperson of the Next Generation, and my new favorite kitchen wall hanging by Jim Lambert.